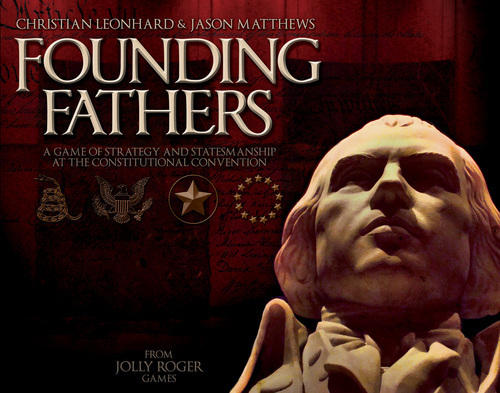 Founding Fathers is a board/card game for 2-5 players by Jason Mathews and Christian Leonhard, the designers of 1960. 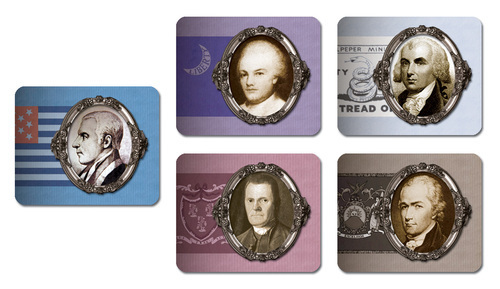 In Founding Fathers, players seek to be the man remembered for the creation of the United States constitution via skillful play of state delegations, debate, and the personalities of the attending delegates. Each delegate has his own special power as well as a factional alliance--federalist, anti-federalist, etc.